Retired Dallas private investigator Alan Knox dislikes New Orleans so much he won’t even drink Abita, the local beer. It all goes back to the day his knee and his promising pro football career were wrecked in a Superdome game with the Saints. But when his estranged son calls and asks for help finding a missing fiancée, the guilt-ridden Texan heads for the Big Easy where he soon finds himself in trouble up to the tops of his snakeskin boots. What starts off as a missing person case turns into a hunt for a serial killer who uses exotic poisonous animals to dispatch his victims. Painfully aware he can’t go it alone, Knox joins forces with an over-the-hill journalist and an unfriendly police detective as he navigates the dark streets and seedy bars in search of his prey. When I conceived the idea for a serial killer using poisonous animals to disguise the deaths as accidents, I knew I had to deal with creatures. I chose the ones that scared me the most! Although I can’t list them here, I can refer to the first one as the cover artwork already gives it away. The structure scorpion usually appears on any top ten list of dangerous creatures, and I researched it extensively and it became the protagonist of the very first scene I wrote for my novel Poisoned Tears. The scene shows my killer looking upon the first victim, a woman in her twenties, bound and unconscious lying on the floor. Then I go into the details of handling the scorpion and making the little animal sting the woman. Without emergency medical treatment she’s as good as gone. The killer makes sure she doesn’t get any. Several of my writing friends commented on how ominous and scary the scene was, one even compared it to something out of a Stephen King novel — with my apologies to Mr. King. The subsequent revisions included a change on the identity of the victim (which created a problem as they were from different places and even races). I also varied the length and various details that were cut, brought it back, cut again, rewritten, left unused, and then brought back again at the behest of my editor. As you can see, I played with all of its details except one: its placement. I was adamant about using that scene as the opening sequence for I deemed it the perfect attention grabber. Later I showed the opening chapters at various writing workshops with publishing professionals, the feedback came in two extremes. There were ones who loved it, others not so much. A publishing professional shared her comments from the heart. “It’s a turn-off for me when I see women my age murdered on the first page,” she said. The above comment made me realize that the scene, as polished as it was by that seventh draft, was the scariest part of the book. In an almost metaphysical sense, it scared me as well, when I feared the scene would stump the book’s road to publication. Exceptional times call for exceptional circumstances, right? By the time I signed a contract with Rebel e-Publishers, I reached a compromise: Keep the scene, but in a different place in a later chapter. As it turned out, the first scene I wrote for Poisoned Tears became the one that went through the most changes before it saw the light of day. Now I’m just hoping readers, the ultimate critics, enjoy the book and that particular scene. J. H. Bográn, born and raised in Honduras, is the son of a journalist. He ironically prefers to write fiction rather than fact. José’s genre of choice is thrillers, but he likes to throw in a twist of romance into the mix. His works include novels and short stories in both English and Spanish. 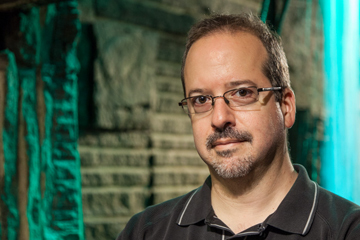 He has also worked on scripts for motion pictures and domestic television in his home country. 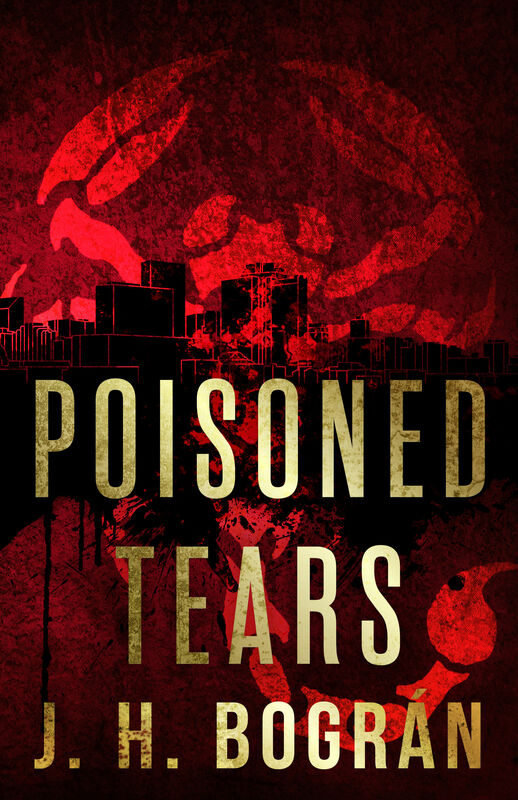 Poisoned Tears is his third novel in English and has already garnered positive reviews and recommendations. Jon Land calls it “a splendid piece of crime noir,” while Douglas Preston says it’s a first class roller-coaster ride. He’s a member of The Crime Writers Association, the Short Fiction Writers Guild and the International Thriller Writers, where he also serves as the Thriller Roundtable Coordinator and contributor editor for their official e-zine, The Big Thrill. From the author of Mountain Home and Stranded, comes Bracken MacLeod’s first collection of short stories. These stories inhabit the dark places where pain and resignation intersect, and the fear of a quiet moment alone is as terrifying as the unseen thing watching from behind the treeline. In the titular story, a young woman waits for her father to come home from the place where no one goes intending to return. A single word is the push that may break a man and save a life. The members of a winemaking community celebrate the old time religion found flowing in the blood of the vine. A desperate man seeking a miracle cure gets more than a peek behind the curtain of Dr. Morningstar’s Psychic Surgery. A child who dreams of escaping on leather wings finds rescue in dark water instead. Looking back over a life, a homeless veteran must decide to live in the present if he wants to save his future. In a Halloween Hell house, a youth pastor must face the judgment of a man committed to doing the Lord’s work. Fiery death heralds the beginning of a new life. A man who has been carrying pain with him his entire life gives up his last piece of darkness. And a still day beneath the sun illuminates the quiet sorrow of the last feather to fall. For me, the scariest part of 13 Views of the Suicide Woods is a common thread weaving throughout almost all of the stories, which is the sense of being swept away by inevitability. What I mean is the feeling of powerlessness in the face of something dark and undeniable, which in that moment cannot be undone or overcome. It’s not the moment where things begin to go wrong, but the one where a person becomes conscious that things have gone wrong and there’s no way back. It’s the realization of it. Several years ago, I was driving home from a friend’s house after a late night out gaming. It was about half past two and I was dead tired and had an hour on the road still ahead of me, so I was trying to get home quickly. But it was snowing, and I was going a little too fast in the storm and lost control. The car started to fishtail and while I was doing my best to correct the slide, it just kept getting worse. And before I realized how bad things had gotten, I was spinning completely around at 60 miles an hour on black ice headed for the median strip. I wasn’t sure when I hit the snow bank in the middle of the interstate whether the car was going to stop, or flip and roll into oncoming traffic. All I did know was that there wasn’t a thing I could do to prevent the car from sliding into it. The direction I was headed in was inevitable and the outcome — whatever it would be — was beyond my ability to alter. We go through life focused on all the things we have planned, the things we’re doing right now, and then, all of the sudden, that instant arrives and you’re spinning out into the median — out of control, out of time, out of options. The only thing there is to do is hold on to the wheel, ride that moment, and hope it isn’t your last. That’s the feeling I mean. At some point in almost every one of the stories in 13 Views of the Suicide Woods, there’s an interval where the main character has this realization that they’re being swept away in the tide of something more powerful than they are. The choice they have is whether to swim with or against the current pulling them down. But by the time they grasp what’s happening, none of them can stop it. If I were pressed to pick the very scariest of these moments, it would happen in the titular story. There’s a scene at the beginning where a character named Skip has gone to the woods intending to kill himself (he feels drawn there — more on that in a minute). He ties a noose, climbs a tree, and scoots off the end of the branch with the rope around his neck. And in that moment, as he’s falling, he understands with perfect clarity that this action is irreversible. He’s done a thing which has set the end of his agency in motion, and it’s too late for second thoughts. He chose to hasten inevitability and the existential realization is terrifying to him. That one is scariest for me because while a person might walk into a bar with a gun, or an airplane engine could fail, those events are out of my control and largely unpredictable (to the extent that they’re extremely rare occurrences). However unlikely, one’s participation in them is forced; no one chooses be to a part of those experiences. Skip slipping off the branch is deliberately stepping into the void and letting go of control. As someone who occasionally experiences what the French call, L’appel du vide, it’s a terrifying idea to me. Standing on the edge of some high place, I often feel the pull in my body to just step out. I’m not suicidal, but the feeling is there, physical and intrusive. It’s my mind that prevents me from turning the wheel into the side of the underpass entrance or taking that step off of the subway platform. But then, I am not a dualist; my mind is a consequence of my body, and that’s what frightens me. Like a babysitter getting a call to check on the kids, the will to live and the death drive are coming from the exact same place. Sigmund Freud wrote that “the aim of all life is death.” That is literally true to the extent that nothing living will continue to exist in that state perpetually. It’s the intersection where deliberate survival meets the inevitability of mortality that is the scariest part. Bracken MacLeod is the author of the novels Mountain Home, Stranded, and Come to Dust. 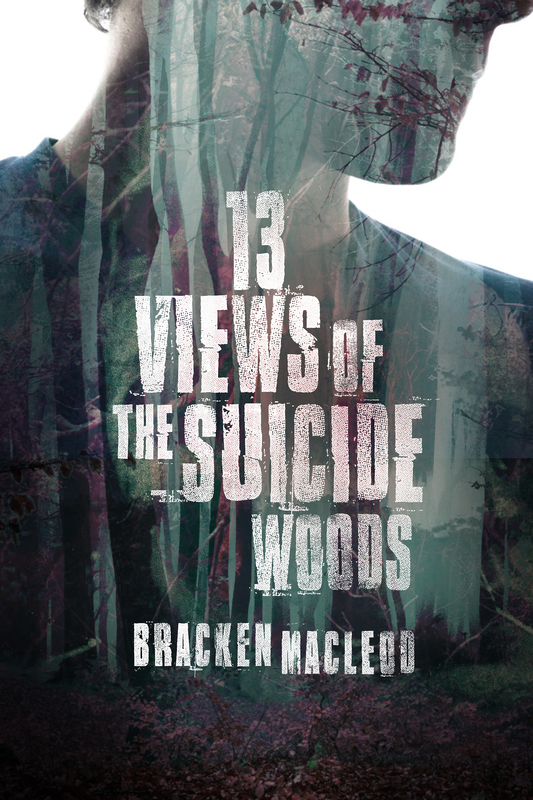 13 Views of the Suicide Woods is his first collection of short fiction. Stranded, released last year by Tor Books, has been nominated for a Bram Stoker Award for Superior Achievement in a Novel. He lives in New England with his wife and son, where he is at work on his next novel. I was a huge fan of Aguirre-Sacasa’s AFTERLIFE WITH ARCHIE (please release the second volume already, you guys! ), so when I heard he was also writing CHILLING ADVENTURES OF SABRINA I was psyched to read it. It didn’t let me down. In fact, it was everything I’d hoped for and more! Aguirre-Sacasa moves Sabrina the Teenage Witch’s story to the 1960s, the decade her character was first introduced, in order to keep it separate from the contemporary setting of AFTERLIFE WITH ARCHIE (although she appears briefly in that one, too), and it turns out to be a great choice. Instead of feeling dated it feels classic, adding a special layer to the story’s atmosphere. I was particularly pleased with Aguirre-Sacasa’s decision to make Sabrina and her aunts’ magic Satanic in nature rather than making them Wiccans or “white witches.” Sabrina herself remains decent and good-natured, even when she’s sacrificing a goat in the woods, and Salem, her talking-cat familiar, steals all his scenes with excellent wry commentary. Add cameos from Betty and Veronica and the return of classic back-up story villainess Madame Satan, and I’m champing at the bit for volume two. Hopefully I won’t have to wait too long. CHILLING ADVENTURES OF SABRINA is a must-read for fans of horror comics as well as fans of the classic character — just keep in mind that this is about the furthest you can get from Melissa Joan Hart territory. A police murder investigation in contemporary Brooklyn intersects with H.P. Lovecraft’s mythos in Van Lente’s scary, funny, and highly enjoyable WEIRD DETECTIVE. 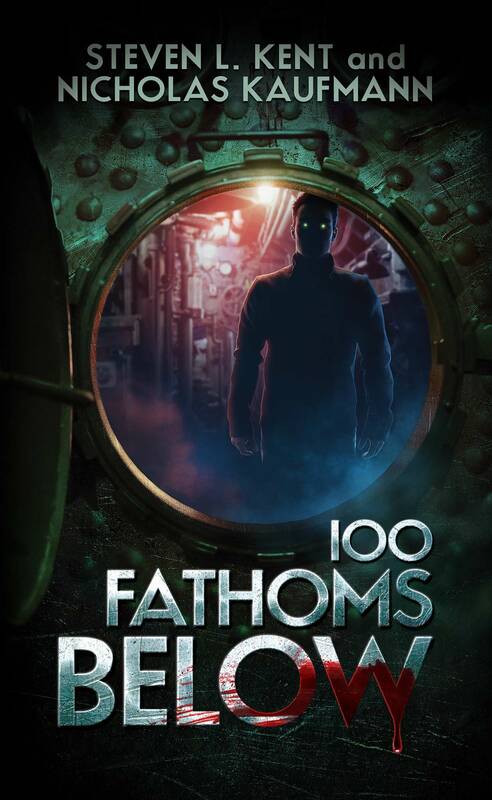 The Deep Ones, the Great Race of Yith, even shoggoths and the Starry Wisdom cult all make cameo appearances, but the real star of the show is Detective Sebastian Greene, who knows more about these things than anyone else on the force. The reason for it is one of the comic’s most inventive twists. Van Lente skillfully avoids the usual cliches of Lovecraftian homage — there’s no secret spell book that must be found, no mentions of Cthulhu or any of his Great Old One pals — and delivers a fun take on the classic material that’s perfect for fans of Lovecraft and horror. Cat owners will particularly appreciate the scenes of a telepathic conversation with a house cat.